Splitboard Guides International operates a hands on professional snow safety program and adheres to the protocols set by the Canadian Avalanche Association. 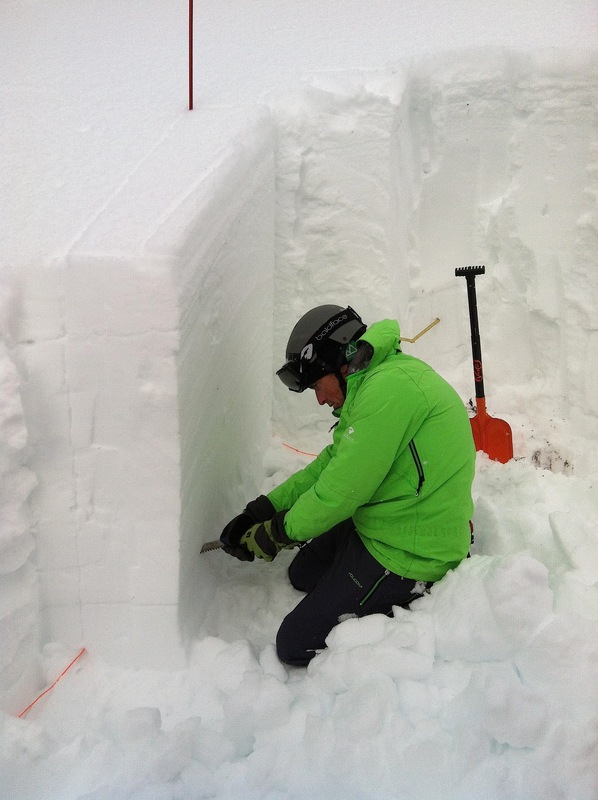 Our Guides routinely perform snowpack tests and monitor weather conditions, all so that we can evaluate and forecast snow stability and avalanche hazard. Our guides are certified professionals in avalanche safety and mountain hazards. We apply the latest avalanche risk management techniques and forecasting procedures, as well as practice safe splitboarding and group management. SGI will assess the safety of the entire mountain to the individual ski run by routinely gathering information from field observations throughout each day. This helps to make good decisions regarding the avalanche hazard, snow conditions, snow stability, and inherent dangers the mountains may present. We take avalanche safety and mountain protocols very seriously. We want our guests to have a safe, enjoyable experience, while respecting the decision making process, and all decisions that are made for your safety. Please remember there are always inherent risks involved when in the mountains, even when all risk control measures are in place. Your Safety – We never sacrifice this goal. Your Enjoyment and Care – A positive experience is what we strive for. The Objective – Whether a summit or the full completion of a splitboard tour. This goal never trumps the first two. Although we do everything we safely can to accomplish the objective at hand.